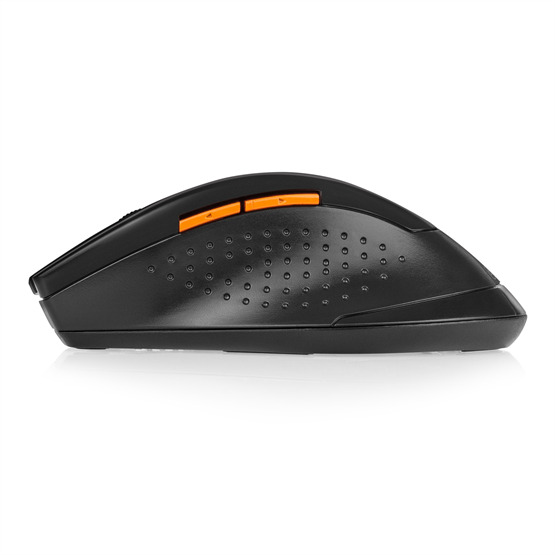 Enjoy the reliability and accuracy of a conventional corded mouse alongside the freedom and usability of a wireless mouse, courtesy of this high-speed wireless mouse from Caseflex! 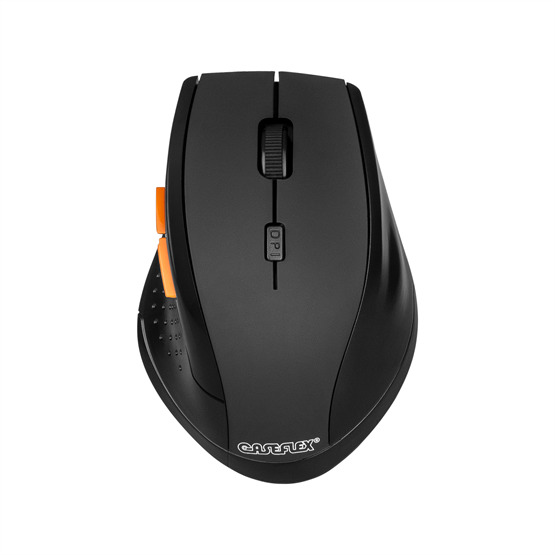 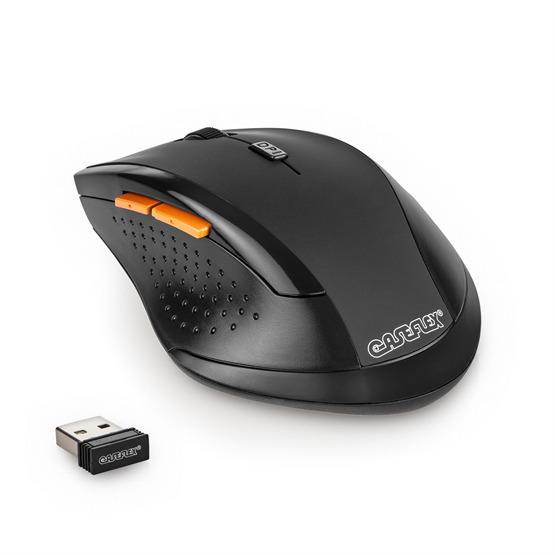 Designed to suit all your daily needs, this wireless mouse is perfect for tasks ranging from office work to gaming. 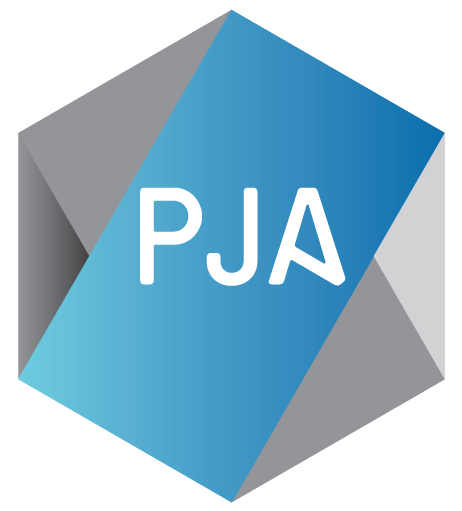 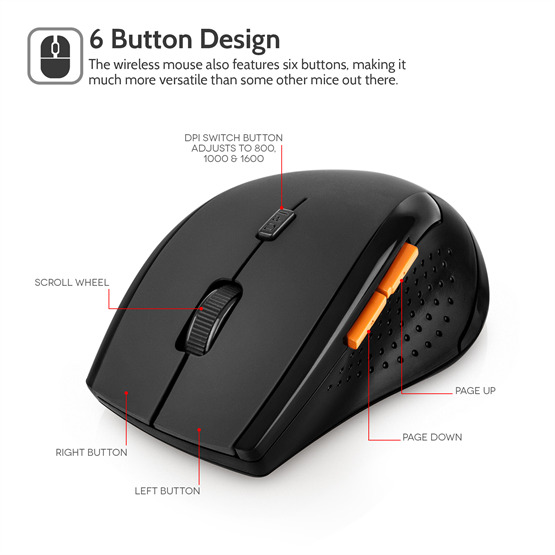 With adjustable DPI settings, you can alter your cursor speed, tailoring it to both your current task and your own comfort level. The wireless mouse also features 5 buttons, making it much more versatile than some other mice out there. 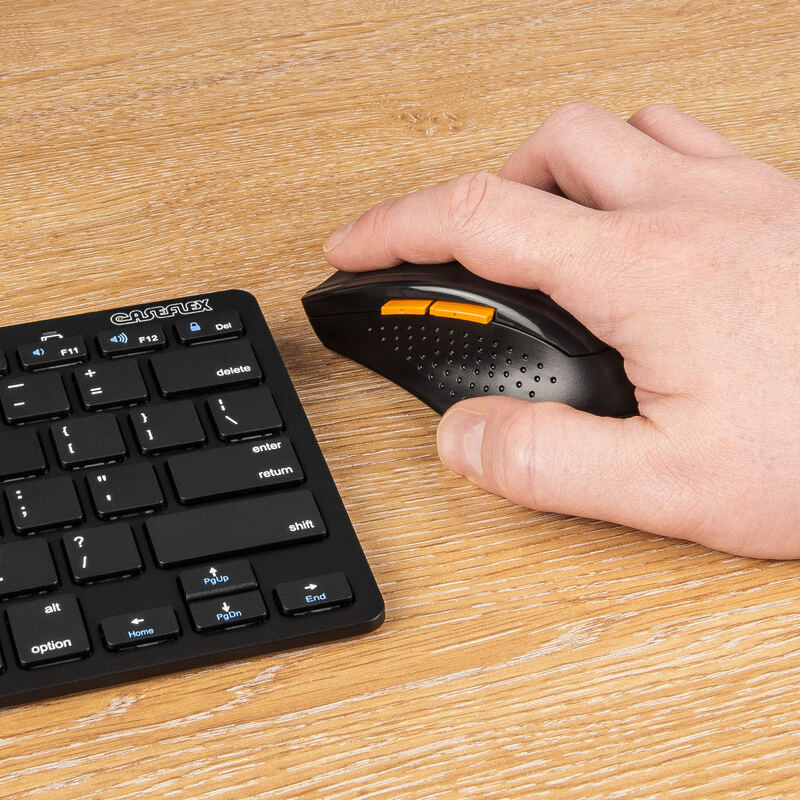 Whether playing an online shooter with friends or performing maintenance an Excel database at work, these buttons are sure to come in handy, opening up a world of power at your fingertips! 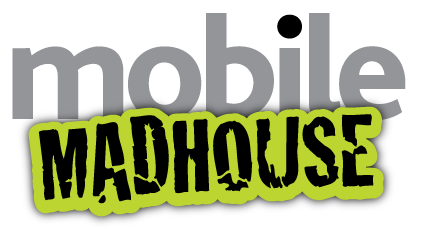 It's also extremely well-made; durable yet compact, the wireless mouse features a sleek, ergonomic "Air Glide" design that's both attractive and easier to grip. 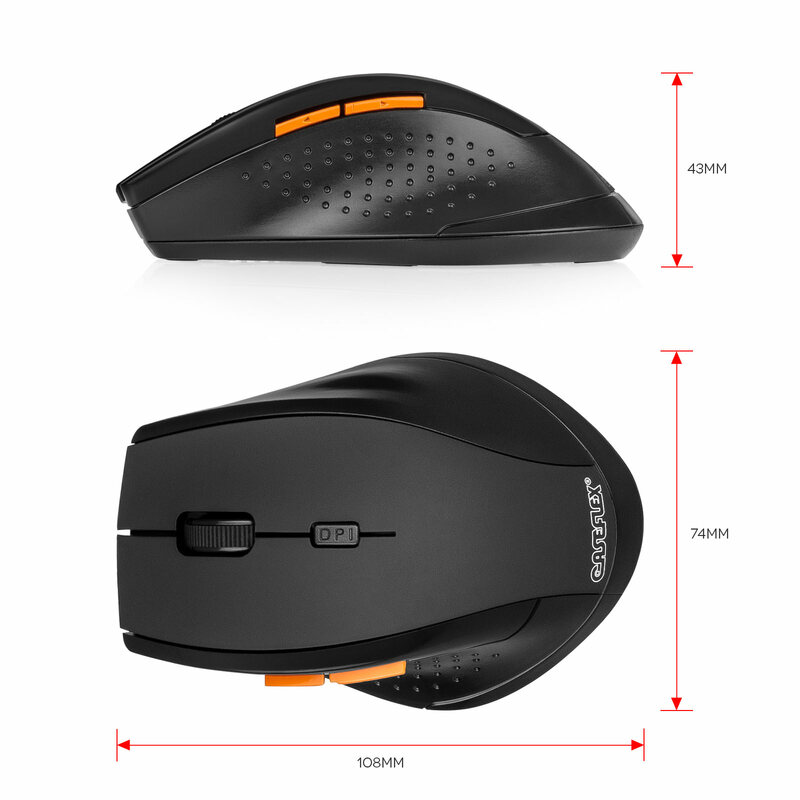 Reduce tension in your wrist and use your mouse in comfort for longer! The Caseflex wireless mouse is also fully portable. It's extremely compact, making it easy to transport; and the USB nano receiver required to use it can be easily swapped out from one computer to another, so setup takes no time at all. 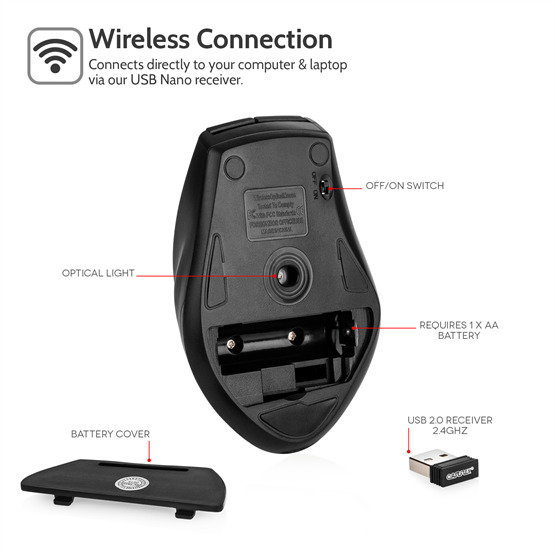 Portable, practical and extremely versatile, this high-speed wireless mouse is a must-have purchase for a dedicated computer user. Whether you're hard at work or relaxing at home, you can't go wrong with this fantastic new product from Caseflex!